Our durable, fit for purpose, flat staging is what’s given Unistage the fantastic reputation it has got today. Versatile and hard-wearing, it can be used for so many different purposes and within so many different venues. 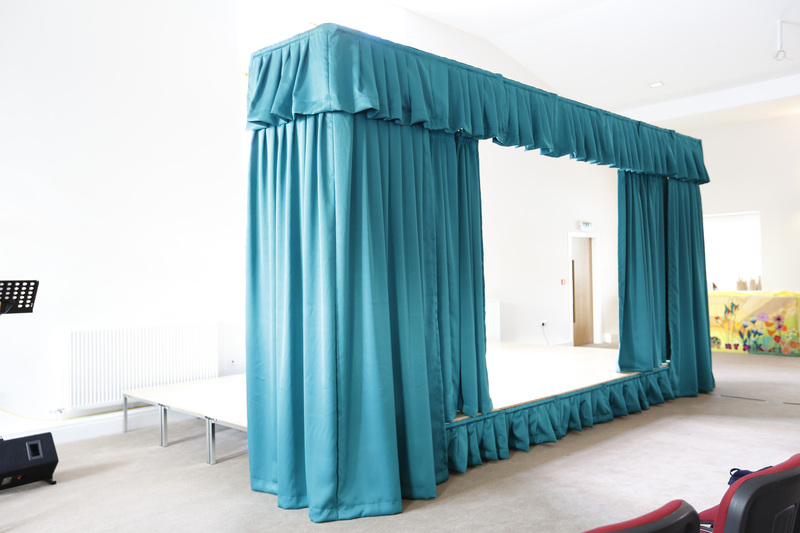 From school assemblies, to catwalk shows and even live music concerts, Unistage’s flat staging has been developed to be your product of choice. Made from sturdy, steel frames and hard-wearing, non-slip birch ply, our unique design gives you a flat space to perform upon that’s 100% sound absorbent. With endless configurations available, what you do with your staging is entirely up to you. You can assemble the modular pieces together as you wish and deconstruct and refigure your design to meet different day-to-day requirements. To make things easy, we’ve designed example packages with your most popular staging needs in mind. While still flexible to meet any other bespoke needs you might have, these packs of staging materials have been designed in such a way that even a child could assemble them. No tools are required for their assembly or disassembly and they’re compact, portable and easy to stack and store away. Recommended uses: Product demonstrations, launches and showcases. Of course, these are just a few of the packages we’ve put together – remember that you are entirely free to build a staging solution of your own design. Each of these recommended flat staging packages is available in two heights, 360mm high or 540mm high, to enable you to customise your solution even further. To find out more about any of the staging packages we’ve covered today, call us on 01254 680 575 to speak to one of our friendly experts. Alternatively, if you’ve got a very specific need in mind and you’re not sure which of our staging solutions is best for you, call our team for advice. We specialise in staging for the education sector, commercial sector and the community – so we’re guaranteed to be able to help you find your perfect solution.